These incredible edible billboards prove that this delicious marketing tactic isn't just limited to restaurants and food manufacturers. Outdoor billboards that incorporate edible elements may not appeal to germaphobes, but for adventurous pedestrians, these ads offer a free snack and a chance to interact with a brand in a novel way. Check out some of the most creative culinary outdoor ads below. 1. 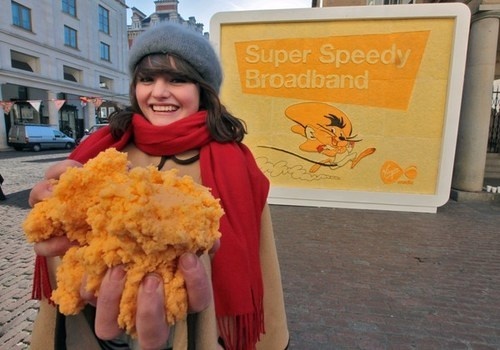 Virgin Media Cheese Billboard: In 2010, U.K. Internet service provider Virgin Media enlisted artist Prudence Staite to create an edible billboard. Staite and her 13-person team constructed the billboard out of 10 varieties of local cheese over eight days. 2. 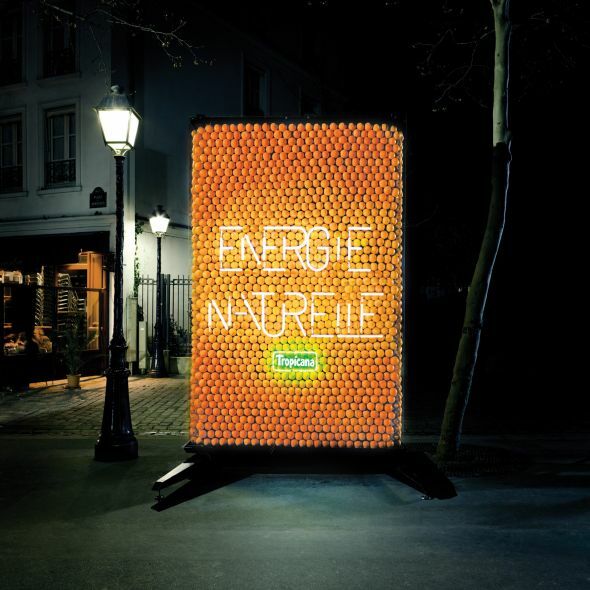 Tropicana "Energie Naturelle" Billboard: In April 2011, the ad agency DDB released a billboard for Tropicana that was powered by oranges. Channeling the lemon batteries many of us made in grade school, the orange battery used copper and zinc spikes to circulate power to the billboard's neon lettering. 3. 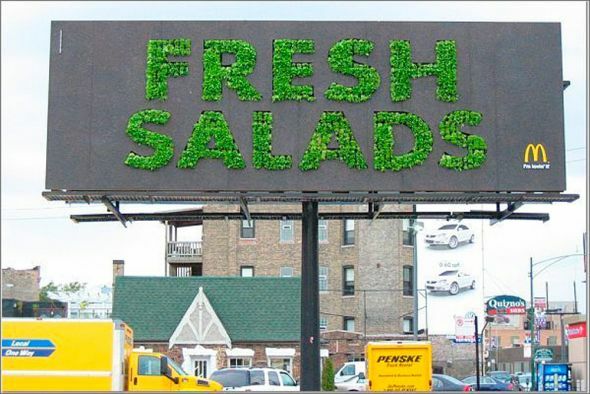 McDonald's "Fresh Salads" Billboard: In 2007 and 2009, McDonald's promoted its fresh salads in the Chicago area with a billboard embedded with lettuce leaves. As the edible billboard grew, the lettuce leaves formed the phrase "fresh salads." The ads were created by the Leo Burnett agency in Chicago. 4. GranataPet Snack Check: This edible billboard in Germany isn't actually made of food, but it dispenses GranataPet dog food when the owner checks in using the mobile location-based app Foursquare. The German ad agency Agenta ran the billboard in March 2011. 5. Thorntons Chocolate Billboard: This Thorntons chocolate billboard is reportedly the one to start the edible billboard phenomenon. 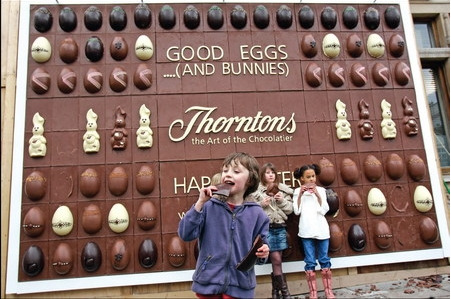 When it debuted in 2007, the billboard lasted just three hours before passersby devoured the 10 chocolate bunnies, 72 giant chocolate eggs and 128 chocolate panels.